Today, in upstate New York, it is really beginning to look a lot like Christmas. 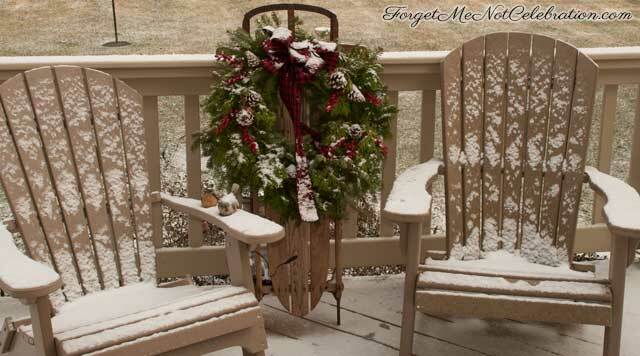 Overnight we had a small amount of snow, and it is really beautiful outside. 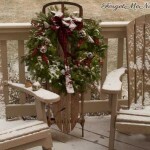 The first snowfall of the season is always a delight for me, especially this close to Christmas. The weather, and the date on the calendar, reminded me that it was time to start making cookies. So, since chocolate is at the top of my love list, I decided to start with Chocolate Peanut Butter Blossoms. 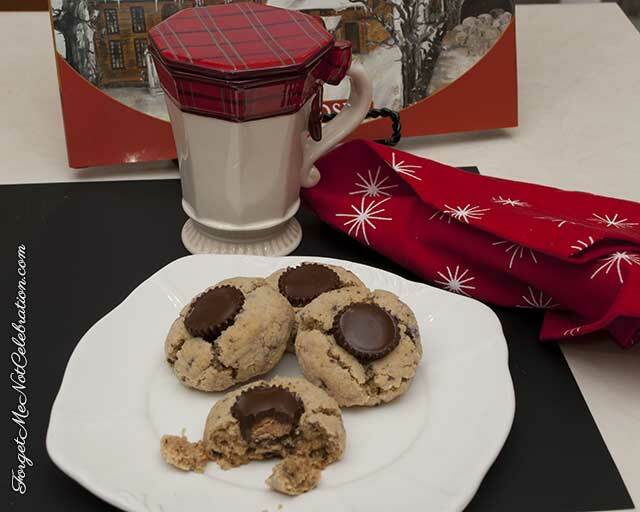 This recipe comes from a wonderful cookbook entitled I’m Dreaming of a Chocolate Christmas. This cookie is a wonderful update on the classic version. There is chopped chocolate in the cookie; and there is a Reese’s Peanut Butter Cup on top. Divine!! To start, preheat the oven to 375 degree F. Line 2 cookie sheets with parchment paper. In the bowl of a stand mixer, place the flour, butter, chocolate, ½ cup of white sugar, peanut butter, egg, milk, baking soda, vanilla and salt. With the paddle blade attached, mix the ingredients on low for 1 minute. Scrape down the sides of the bowl and beat on medium until the dough forms a ball and comes off the bottom of the bowl. This takes about 15 seconds. Using a #40 ice cream scoop, scoop out some dough. 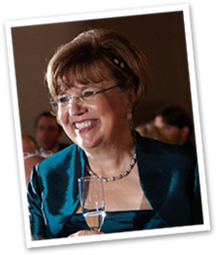 Form the dough into a ball and roll the ball in the remaining ¼ cup of white sugar. Place the sugared balls onto the parchment paper leaving 3” between each cookie ball. Bake the cookies for 12-15 minutes, until light golden brown, rotating the sheets 180 degrees halfway through the baking time. Remove the cookies from the oven and immediately top each cookie with the peanut butter cup, pressing the cup about halfway into the cookie. Cool on the baking sheet until room temperature. Store in the refrigerator for a week to ten days. It is not recommended that these cookies be frozen. 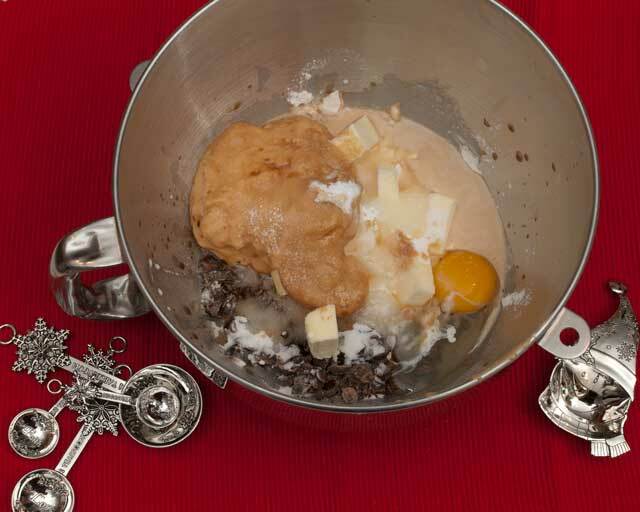 Using a #40 ice cream scoop, scoop out some dough. Form the dough into a ball and roll the ball in the remaining ¼ cup of white sugar. 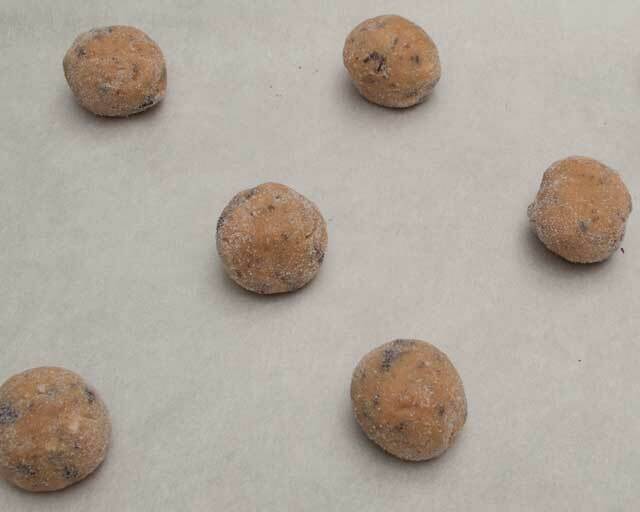 Place the sugared balls onto the parchment paper leaving 3” between each cookie ball. Bake the cookies for 12-15 minutes, until light golden brown, rotating the sheets 180 degrees halfway through the baking time. 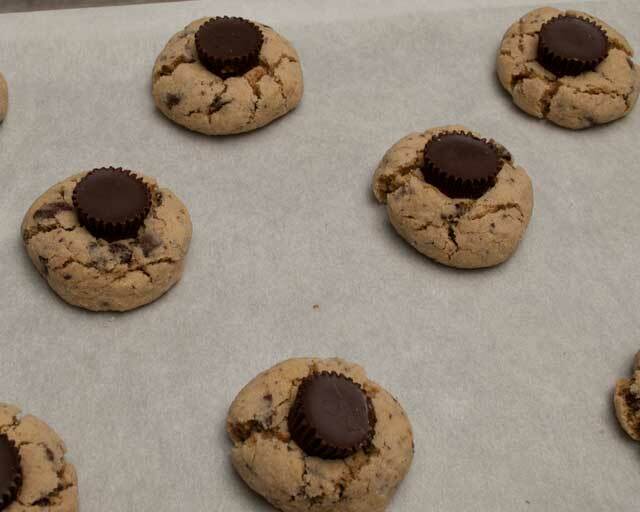 Remove the cookies from the oven and immediately top each cookie with the peanut butter cup, pressing the cup about halfway into the cookie. Cool on the baking sheet until room temperature. I stole one from where Pat was hiding them. Tasted wonderful. Please don’t tell her!